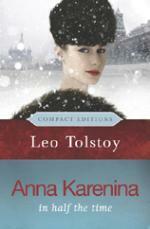 Publication of this exacting new translation of Tolstoy's great Anna signifies a literary event of the first magnitude Tolstoy produced many drafts of Anna Karenina. Crafting and recrafting each sentence with careful intent, he was anything but casual in his use of language. His project, translator Marian Schwartz observes, was to bend language to his will, as an instrument of his aesthetic and moral convictions. In her magnificent new translation, Schwartz embraces Tolstoy's unusual style-she is the first English language translator ever to do so. Previous translations have departed from Tolstoy's original, correcting supposed mistakes and infelicities. But Schwartz uses repetition where Tolstoy does, wields a judicious cliche when he does, and strips down descriptive passages as he does, re-creating his style in English with imagination and skill. Tolstoy's romantic Anna, long-suffering Karenin, dashing Vronsky, and dozens of their family members, friends, and neighbors are among the most vivid characters in world literature. In the thought-provoking Introduction to this volume, Gary Saul Morson provides unusual insights into these characters, exploring what they reveal about Tolstoy's radical conclusions on romantic love, intellectual dishonesty, the nature of happiness, the course of true evil, and more. For readers at every stage-from students first encountering Anna to literary professionals revisiting the novel-this volume will stand as the English reader's clear first choice. Leo Tolstoy (1828-1910) is regarded as one of the world's greatest novelists. Marian Schwartz has translated more than sixty volumes of Russian fiction, history, biography, criticism, and fine art. Gary Saul Morson is professor, Department of Slavic Languages and Literatures, Northwestern University.